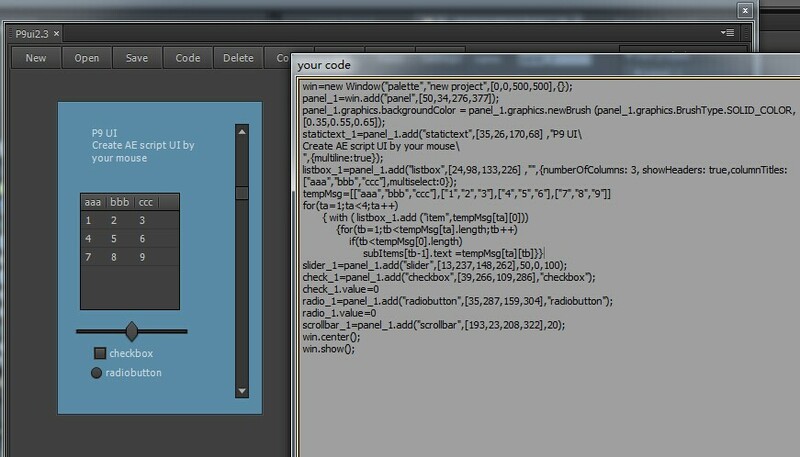 A "What You See Is What You Get" tool to create ScriptUI interfaces. This script displays a selected property's information useful for script authors. This script displays the scripting and expression code needed to access the selected property or property group. Use this information to access the selection correctly in your code. This script dumps the name and matchName of the property hierarchy of the selected layers, in selected order. Use this information to retrieve the internal matchName for a property that you want to access in your scripts.